Gay marriage, affirmative action, and voting rights on the Supreme Court: Are the conservatives dividing? Are the court’s conservatives dividing? Associate Justice Antonin Scalia addresses a Northern Virginia Technology Council breakfast Dec. 13, 2006, in McLean, Va. Scalia spoke to executives from technology companies in the region about constitutional interpretation. Now look at the conservatives. Everyone knows that Kennedy is a swing voter, and indeed he agrees with everyone else between 41 and 59 percent of the time. But I didn’t know that Kennedy actually agrees with the liberals more than with the conservatives (for example, 41 percent with Thomas, and 59 percent with Ginsburg). Who knew that so far this term, Scalia and Alito agree only 50 percent of the time? (This is historically unprecedented, and possibly a statistical anomaly, since they usually vote together.) The other conservative pairings range from about 64 percent to 77 percent. By way of comparison, conservatives like Roberts and Alito, and liberals like Sotomayor and Kagan, agree across ideological lines in the 18 to 41 percent range. From glancing through the non-unanimous criminal procedure cases, my sense is that these patterns are even clearer. Sotomayor, Ginsburg, and Kagan virtually always vote in the same way—in favor of the criminal defendant. Breyer favors criminal defendants but votes in the government’s favor fairly often. Alito, Roberts, and Thomas almost always favor the government, Alito most of all. But the three of them do disagree with each other from time to time. 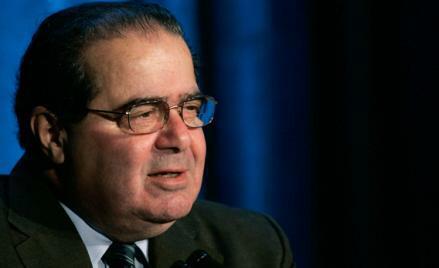 Scalia favors the government but less than the other staunch conservatives. Kennedy, true to his reputation, favors the government half the time. Now it is tempting to criticize Supreme Court justices on the basis of statistical patterns rather than their actual votes and opinions. But it is also lazy. For a long time, critics claimed that Thomas was Scalia’s poodle because their votes so often coincided; no one seems to say that about Sotomayor or Kagan. It is possible to argue that Supreme Court jurisprudence has listed too heavily to the right, and so the only responsible thing to do is to vote in favor of criminal defendants at every available opportunity. Be that as it may, the turmoil within the ranks of the conservatives is worth noting. For one thing it seems much greater than in the past. Perhaps it reflects spillover from larger political debates among conservatives and in the Republican Party, in particular the divides among libertarians, social conservatives, and business-oriented pragmatists, which have sharpened in recent years, as Republicans struggle over their recent electoral defeats. Another possible explanation, which is decidedly unfashionable, is that the conservatives (or some of them) genuinely care about, and disagree over, important matters of law. Scalia and Thomas claim to be originalists, faithful to the framers’ understanding of the Constitution, and certainly if you believe the arguments in their opinions, many of their disagreements with the other conservatives, especially in the criminal cases, stem from their notion of what the founders would have said. Alito and Roberts, by contrast, share the tendency among liberals to balance the interests of criminal defendants and the government—except they more often find that the government’s interests outweigh those of the defendants. Many lawyers (including me) are skeptical of claims by originalists that the interpretation they glean from the past is discernible and binding. It seems more likely that the originalists can reach their preferred political outcome through creative interpretation. But if this is right, then it is hard to understand what Scalia and Thomas are up to, unless they occasionally rule against their political inclinations just to prove that they, unlike the liberals, are truly impartial. Other themes: In FCC v. Arlington, which you mentioned, Emily, Scalia and Roberts divided over how much deference courts should give to the interpretations of law made by government regulatory agencies. Who was the “real” conservative in this case? It is tempting to say that Roberts reflects the traditional conservative distrust of government. But Scalia’s position is rooted in distrust of judges, who are also part of the government. Indeed, there is evidence that judges (including Scalia himself!) manipulate the doctrine in question in that case (known as the Chevron doctrine), giving deference to government regulators when the judges agree with them on ideological grounds, and not otherwise. Scalia came of age in a period in which the judiciary was liberal, and imposed that stamp on constitutional law. Roberts came of age during the Reagan revolution, which planted the seeds of a conservative judiciary as well as the significant advance (albeit never fully realized) of a small-government ethos. Their different backgrounds may explain their disagreements. At the same time, Ginsburg, Sotomayor, and Kagan also have different backgrounds, so why don’t they disagree more?